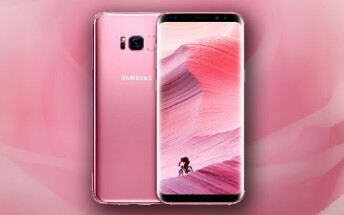 The Rose Pink color variant of the Samsung Galaxy S8 was first launched in Taiwan. Last we heard, it arrived in North America as well. And now, the model has been spotted in Europe. Dutch retailer Belsimpel has the phone listed on its website. The pink Samsung Galaxy S8 carries a tag of €599, which currently translates to $720. It's on pre-order still, and there's no information on exactly when the handset will start shipping, but it can't be long now. Thanks for the tip, Colin!! !